Intel continues to expand its vast gaming investments, announcing today that the leading esports brand has signed a multiyear agreement to become an official technology partner of the NBA 2K League*. 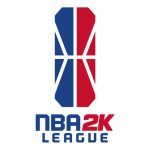 The NBA 2K League, the professional esports league co-founded by the NBA and Take-Two Interactive Software Inc.*, is set to debut in May and will consist of 17 teams while featuring 102 of the best NBA 2K players in the world. As an official technology partner of the NBA 2K League, Intel will deliver cloud to client solutions for an unmatched esports experience. NBA 2K League games will be played on Alienware* PCs powered by Intel’s best gaming processor: the 8th Gen Intel® Core™ i7-8700K processor. Intel will also be the presenting partner of the NBA 2K League Studio, where Intel Core and Intel® Xeon® processors will provide the technology infrastructure for all regular season games, tournaments and playoffs. During the NBA 2K League season, Alienware’s premium PC hardware, including Alienware monitors, and Intel’s industry-leading gaming processors will be used during all live gameplay including weekly matchups, three in-season tournaments, playoffs and the NBA 2K League finals. All players will have the flexibility to use the controller of their preference. This continues Intel’s gaming leadership and follows today’s launch of its new high-performance mobile 8th Gen Intel Core processors, including the best gaming laptop processor that Intel has built.